Pilfer Academy: A School So Bad It's Criminal | YAYOMG! 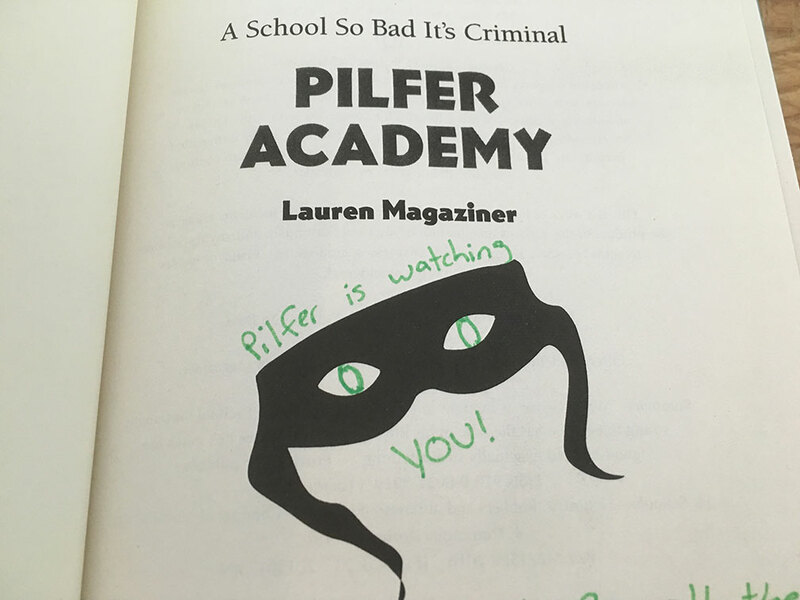 “Pilfer Academy” finally hit bookstore shelves this week and we couldn’t be more excited! 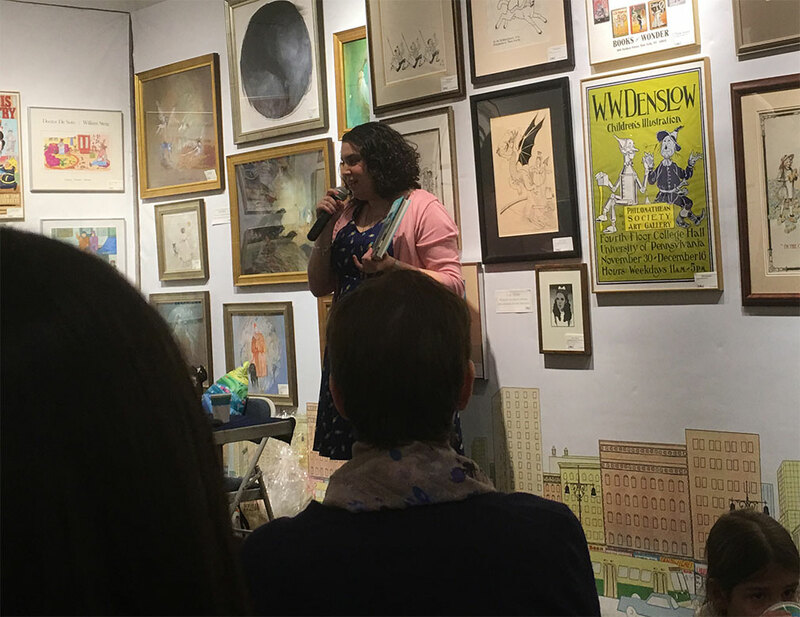 It’s the second novel from Lauren Magaziner (the first being the fantastic “The Only Thing Worse Than Witches”) and not only is it a hilariously wonderful read, we also got the chance to attend her book release party here in NYC! If you’re a fan of “The Only Thing Worse Than Witches”, you’re definitely going to love “Pilfer Academy”. It’s got the same silly sense of humor and alluring story that keeps you wanting to read page after page after page. George is the youngest of 5 sibilings. He’s got 4 older brothers and sisters who just don’t seem to understand him, which he’s totally okay with, because he really doesn’t get them either. He often finds himself in their bedrooms, “borrowing” their comic books, reading their diaries, and blasting their stereos. He’s a lot like the Kevin McCallister (Home Alone) of his family. The misunderstood little brother who’s frustrated by his family. He’s not a bad kid, but sometimes he acts a little mischievous when he’s bored or mad. One day, after stealing $10 from his brother Derek’s room, he heads down the street and runs into an ice cream truck and instead of getting ice cream, he ends up kidnapped by two completely over the top weird thieves, Ballyrag and Strongarm. After a chapter full of shenanigans and obstacles preventing them from getting where they’re going, Strongarm and Ballyrag bring George to his new home at Pilfer Academy. 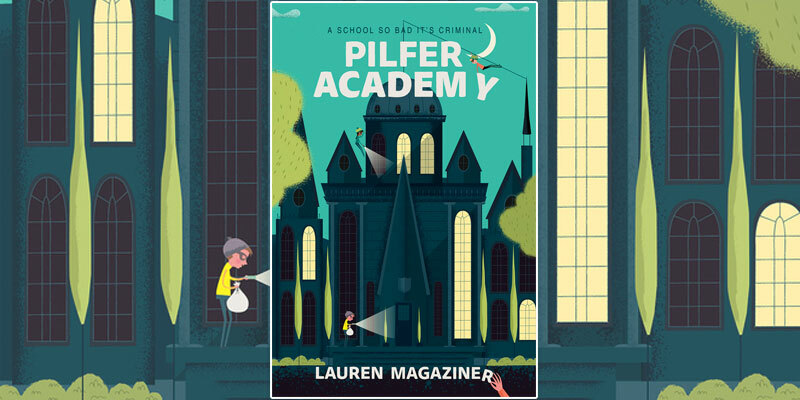 Pilfer Academy is the finest school for cultivating thieves, robbers, muggers, burglars, crooks, and otherwise intolerable hoodlums that’s tucked away inside of a beautiful old gothic style mansion in a super secret location. In simple terms, it’s a school for training kids to become criminals, essentially a Hogwarts for thievery! 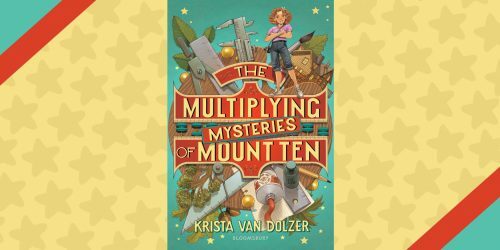 Tossed into this new life he never asked for, George must balance this bizarre school, wacky teachers, unlikely friendships, and deal with the realization that while he’s actually really good at being a criminal, he’s got way too big of a heart to actually go through with it all. 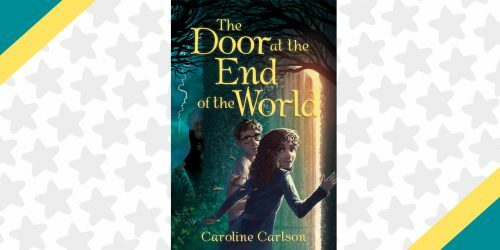 Will George be able to pull off an epic heist to break free of the academy, or will he be stuck in this new, weird life forever? 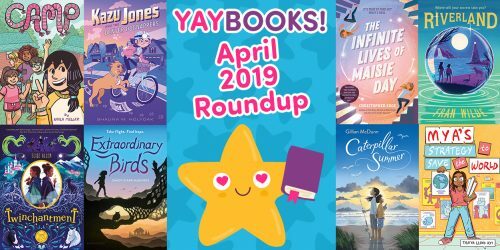 You’ll have to read it to find out! As we mentioned earlier, we got to hit up the book party for this fantastic little read. 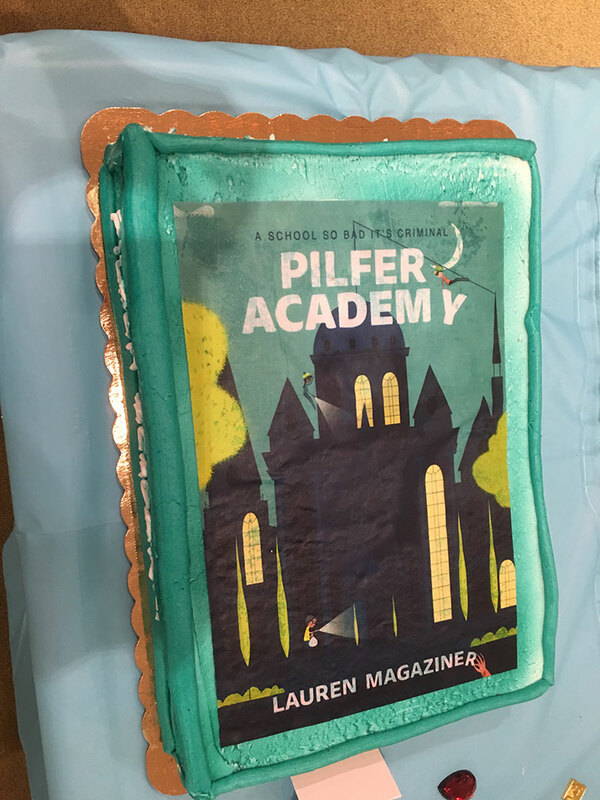 The “Pilfer Academy” party took place at Books of Wonder, the most delightful children’s bookstore in all of NYC. (and probably the world!) There were a ton of Pilfer-themed treats and activities, like a DIY thief mask station and cupcakes baked into ice cream cones. There was even a cake that looked like the cover of the book! (See below. That amazing beauty is a CAKE!) The author, Lauren Magaziner read a chapter from the book, took questions from the audience, and then signed everyone’s books. 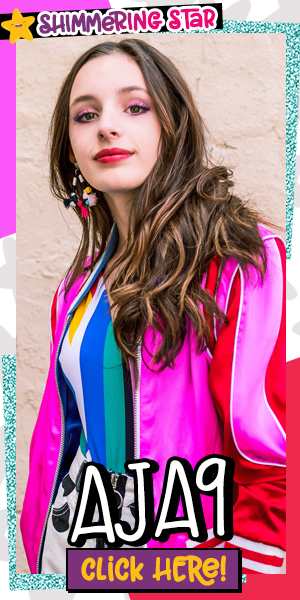 We got the chance to meet her, and learned that she’s a seriously bubbly, delightful human who gives great hugs in addition to writing great books! 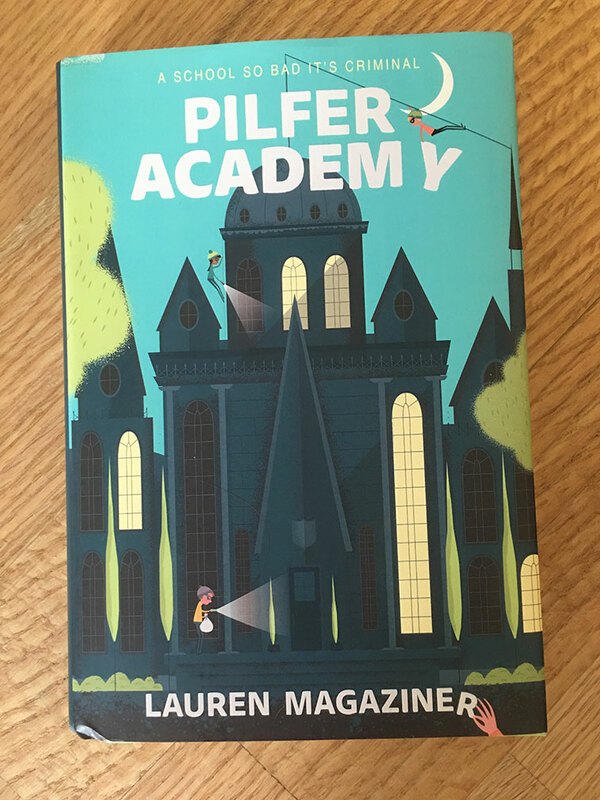 “Pilfer Academy” is out now, so run as fast as you can to your nearest book store and pick it up, and maybe grab some ice cream to gobble up while you read it!